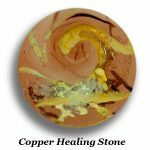 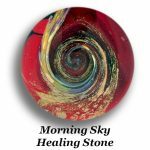 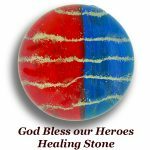 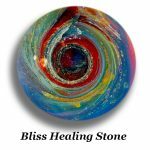 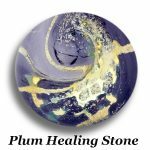 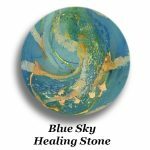 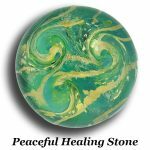 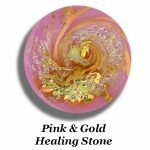 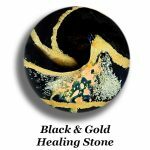 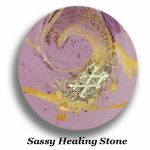 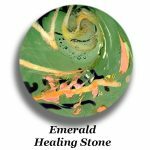 This Cremation Keepsake Healing Stones is like a “Worry Stone” except they are made out of glass in the shape of a cabochon (a round pendant without the bail or loop). 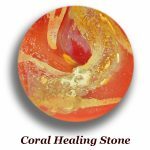 The cremains/ash are incorporate with pieces of Silver, Gold, Brass and other metals in an optical clear Pyrex glass to form a very three-dimensional unique design. Once completed I will sign the loved one’s full name or nick name, e.g. 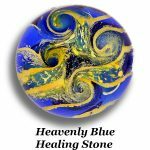 Dad, Mom, etc. 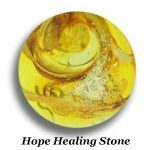 on the back of the keepsake in 22k gold, so as to be Forever in Glass. 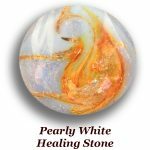 These are great to carry in one’s pocket, purse or on ones desk as a mini paperweight to keep your loved one close to you.